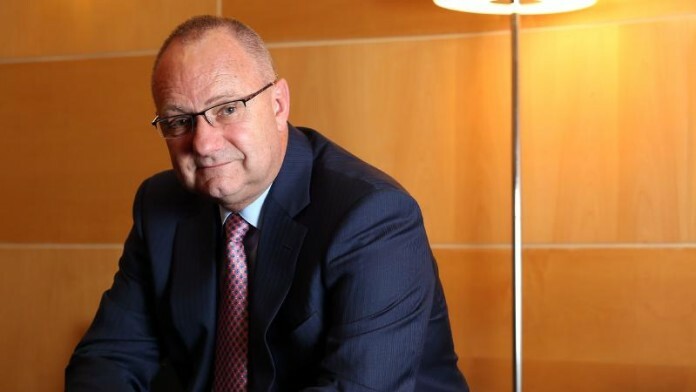 The restart of Anglo American’s Minas-Rio iron ore pipepline was on schedule and due to take place this month according to Anglo American CEO Mark Cutifani speaking during an update to investors given in London today. The pipeline transports iron ore in slurry form for 592kms from the mine site in the Brazilian state of Minas Gerais to the port of Acu. It was shut down on March 29 this year after a “minor leak” was found in close proximity to a similar leak near a pumping station on March 12. Cutifani today re-stated the negative impact on EBITDA at $320m saying four kilometres of pipeline had been “replaced as a precaution” while the clean-up and pipeline scan work had been completed and the results verified by two independent expert teams. The frequency of magnetic inspection of the pipeline had been increased to two years from five years previously. He added that one of the three approvals required for start-up had been received. He forecast production for the year to end-December 2019 at 16mt to 19mt saying throughput would ramp up at around 1.2Mt per month until the final Step 3 operational licence which was expected in the second quarter of next year. Cutifani put estimated production from Minas Rio at 21mt – 23mt for financial 2020. Those numbers are materially below the group’s previous production guidance which was for 20mt – 24mt for 2019 rising to 24mt to 26.5mt for 2020. Other significant changes flagged in the production outlook affected diamonds and platinum/palladium. De Beers is stepping up diamond output targeting production of between 35m carats and 36m carats for 2018 compared with the previous estimate of 34m carats to 36m carats. For 2019 De Beers has pushed guidance to between 31m carats and 33m carats from the previous guidance of 32m carats while the estimate for 2020 is given at 33m carats to 35m carats compared with 32m carats previously. Anglo American Platinum expects platinum production of between 2.45m oz and 2.5m oz for 2018 but this will drop to between 2m oz and 2.2m oz for both the 2019 and 2020 financial years against previous estimates of 2m oz for both years. Reason for the decline is that from January 1 next year Sibanye PGM material will no longer be purchased as concentrate but instead toll-treated with the refined metal returned to Sibanye.